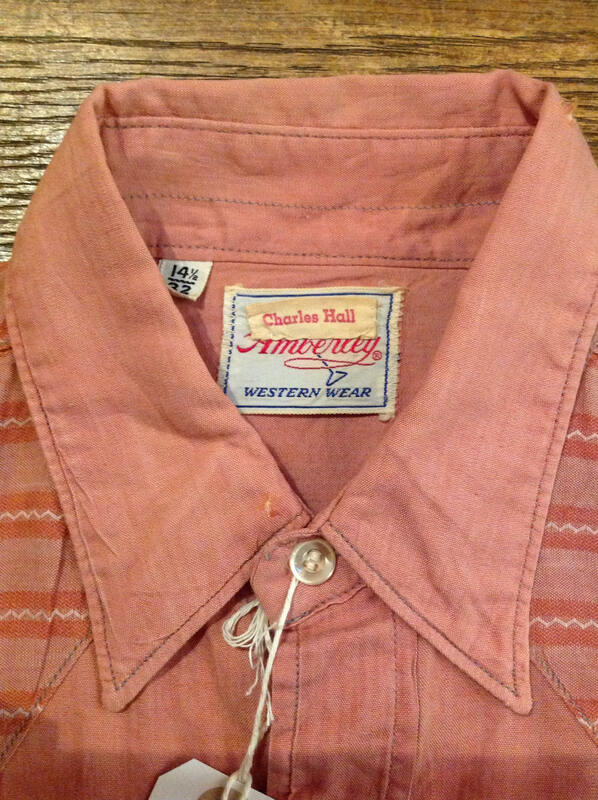 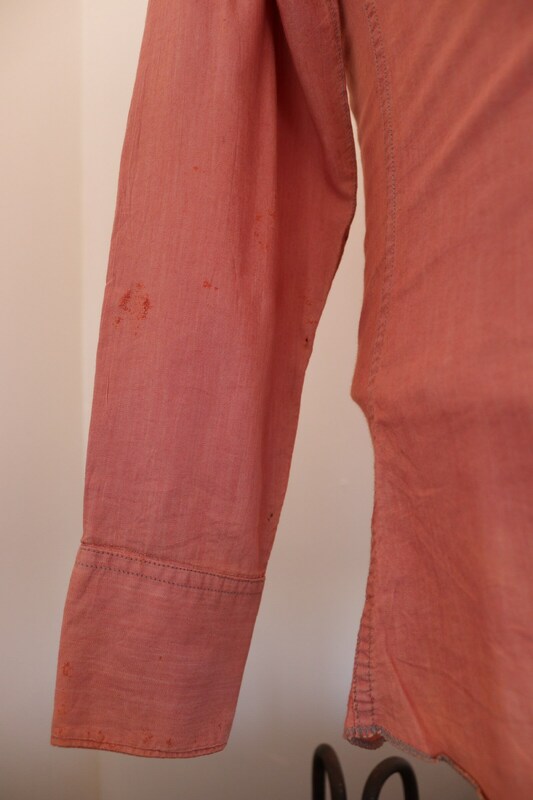 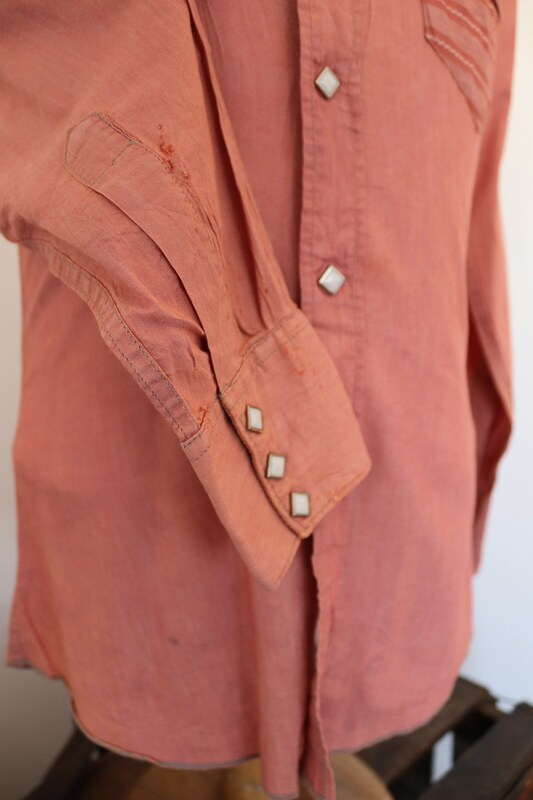 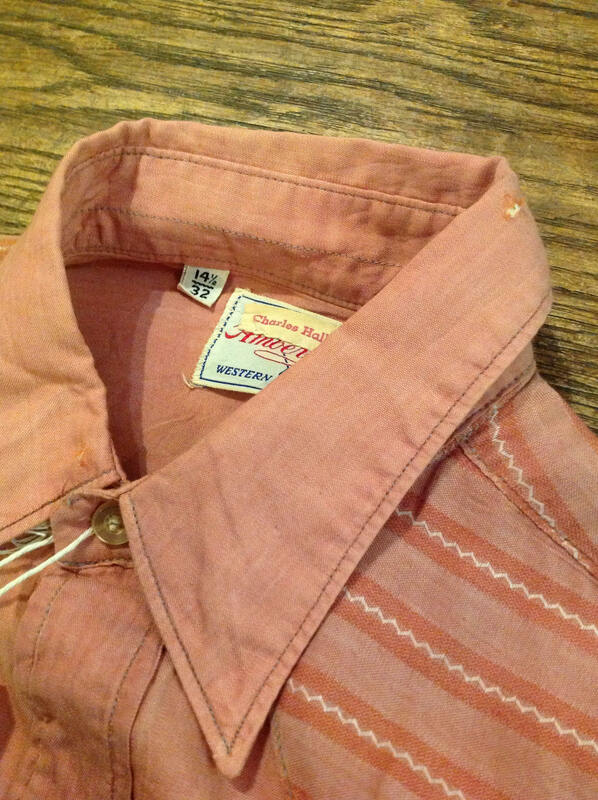 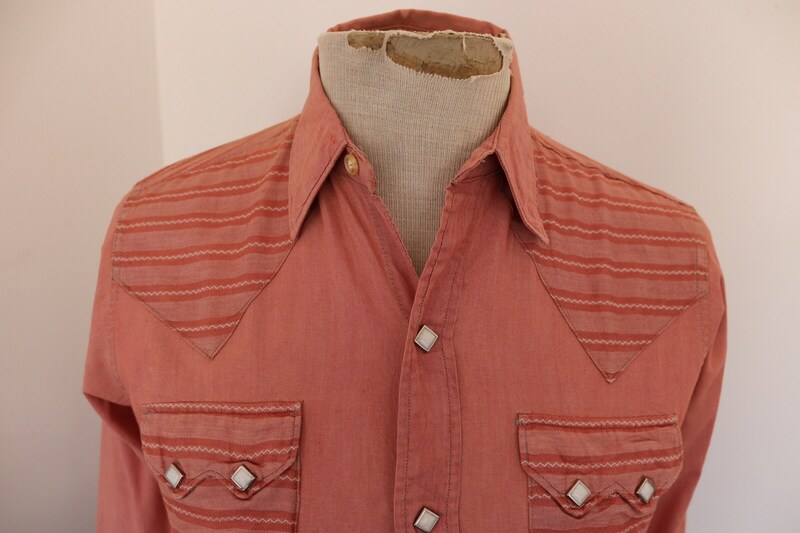 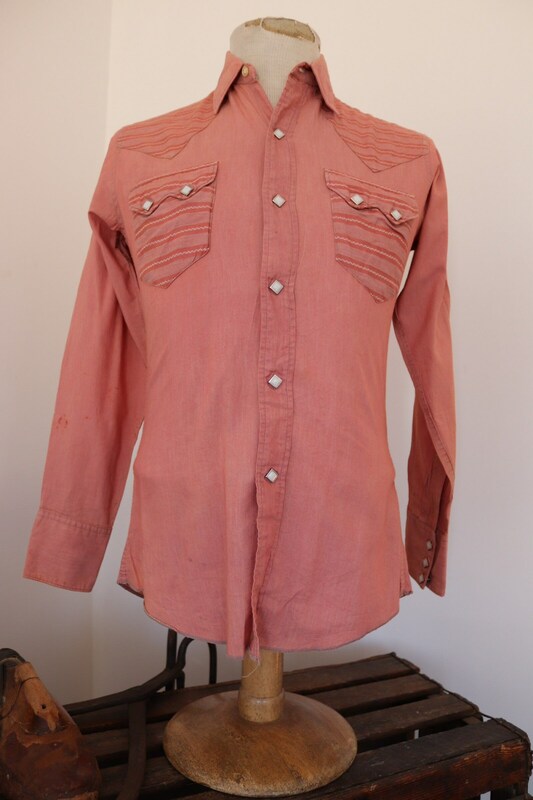 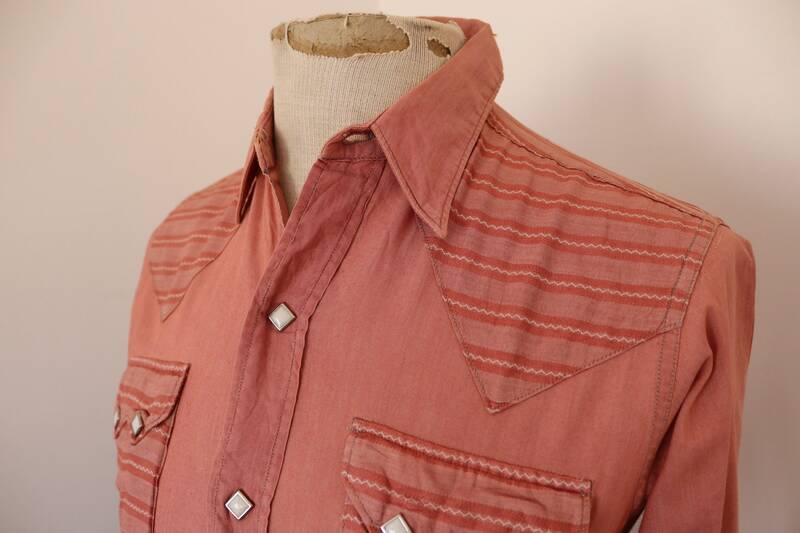 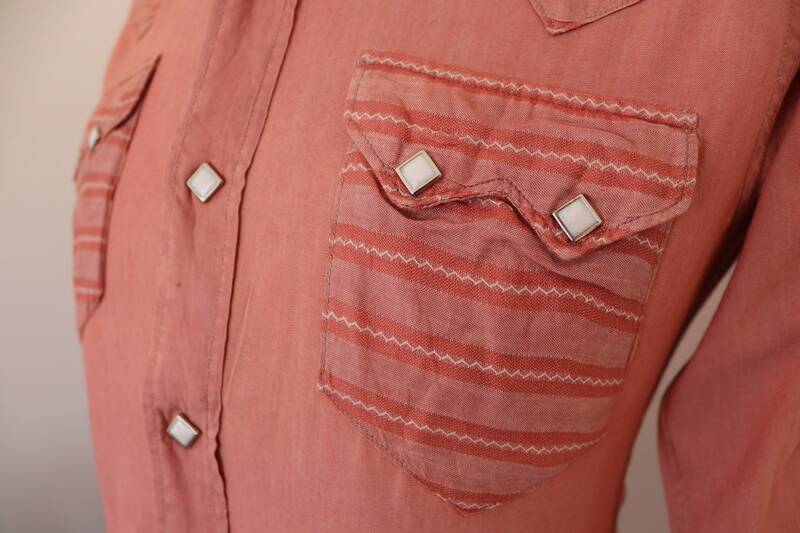 A pink sawtooth pocket Western shirt dating from the 1960s. 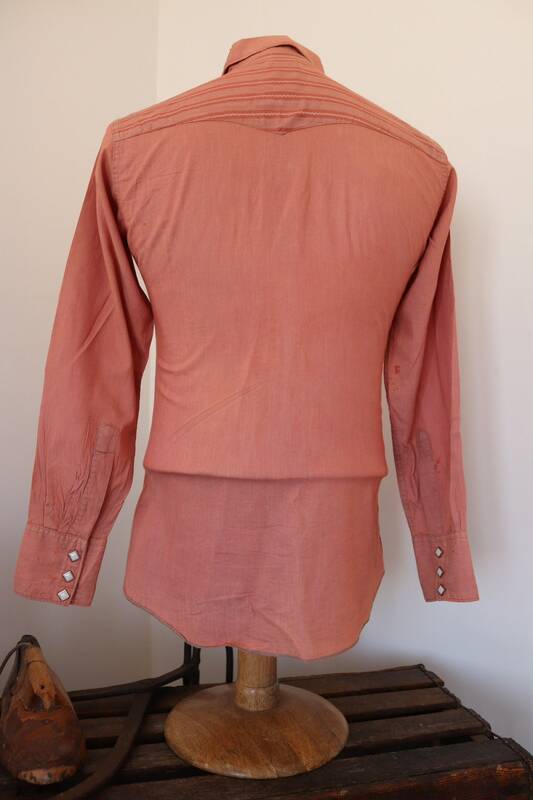 Noted flaws - two small nicks in the collar and some clicks on the inside of the right sleeve - please see photos. 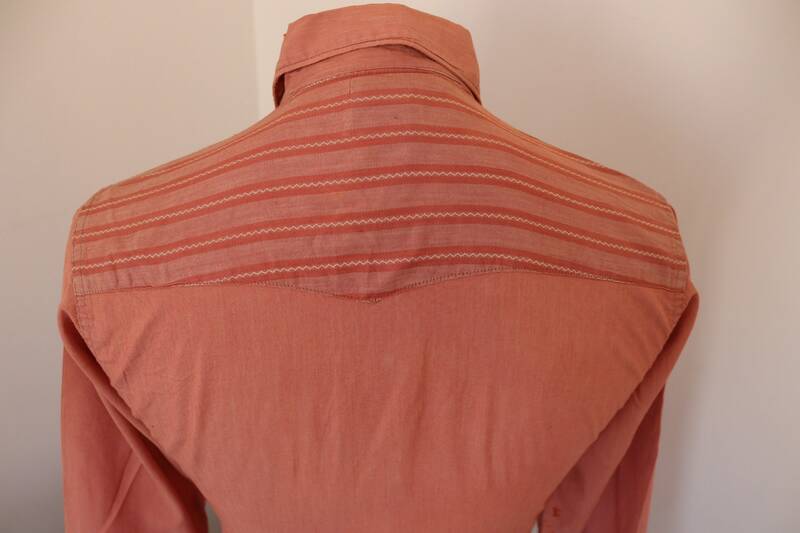 Patterned over the shoulders, square snap closures, all work as they should, smaller size, suitable for men or women.